The SALAV GS25-DJ Performance Series Garment Steamer with woven hose features a fashion forward rose gold finish with a coordinating rose gold diamond woven hose. 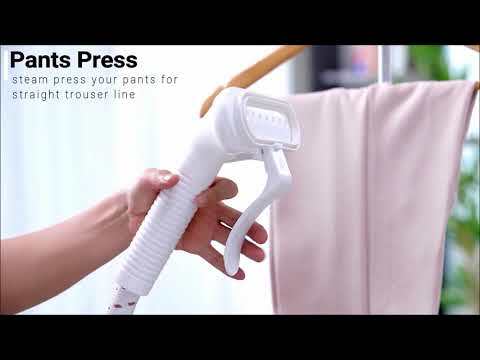 The unique folding hanger that's included, swivels 360 degrees and holds up to 10 garments. With SALAV patented aluminum heating systems, 1500 watts of steam is delivered to refresh and release wrinkles from most fabrics. 12" x 10" x 67"